Pour coffee with 50 ml of boiling water. 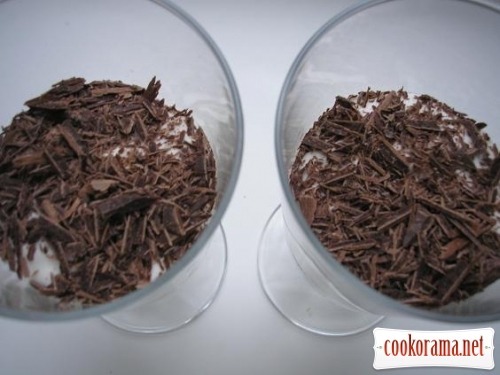 Grate chocolate or chop with knife. 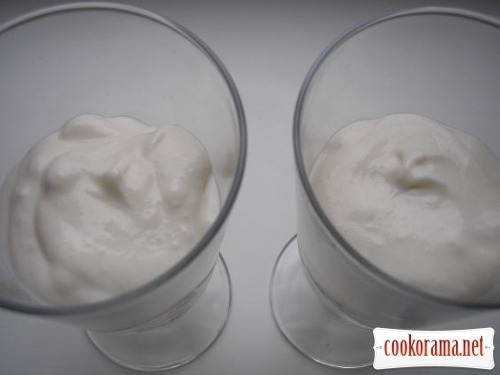 Mix curd with sugar and sour cream. Spread dessert by layers. 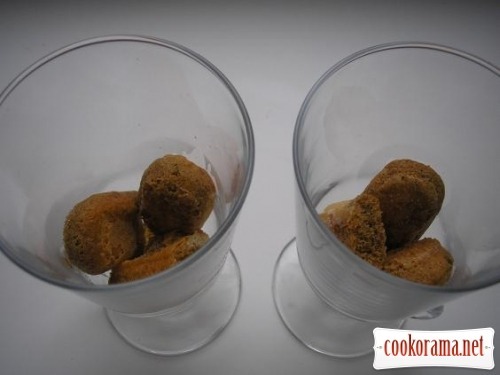 First layer – cookies, poured with coffee and liqueur (do not use liquor in children's portion). 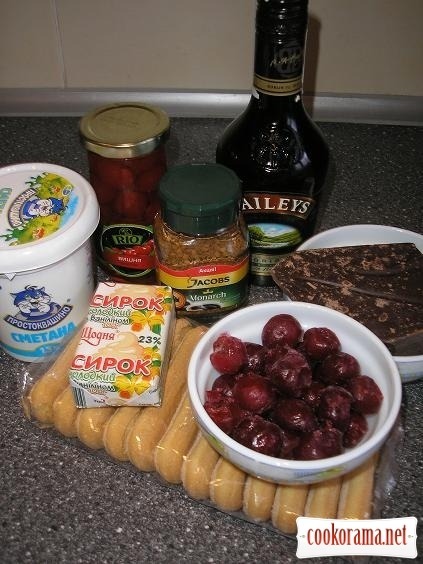 Second layer – cherries. I specifically did not defrost them in advance, my dessert stood about an hour, cherries defrosted, and their juice wonderfully soaked into the cookies. Third layer — curd-sour cream mass. Repeat again all the layers. 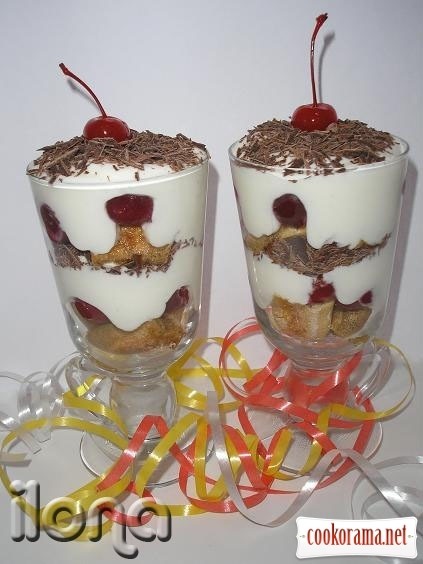 Decorate dessert with canned cherry. Let the dessert stand for an hour. 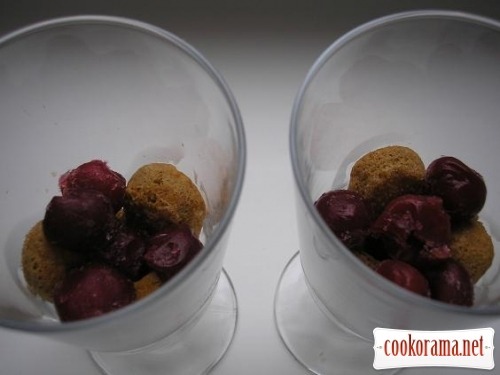 Top of recipe "Dessert "Winter cherry""
Recipes, Pastries without baking, Dessert "Winter cherry"